Concentrate active distill material from koncing which is being called " super fat burning", and combine with konjac which is being called " fat fighter", can decompose body fat immediately, fasten fat energys metabolizing, restrain absorbing fat after food, make you feel lighter. Fruits contain a lot of fruit gel, fruit fiber, vitamin, many mineral-element and micro element, which can shorten the time of the staying of food poison in your stomach, expel the poison from our body, and supply nutrition at the time. Apple acid can burn fat. Protein decompose ferment from Kiwi fruit can decompose meat protein stop absorbing fat. 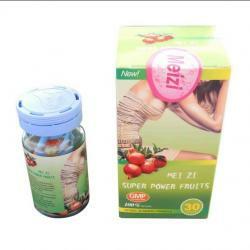 Gamboge fruit extractive material (HCA) can stop dextrose transforming to fat, reduce energy assimilation. 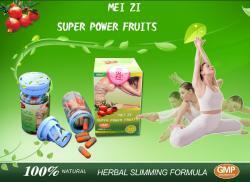 That is why Meizi Super Power Fruits can make you look slim and beautiful while losing weight! 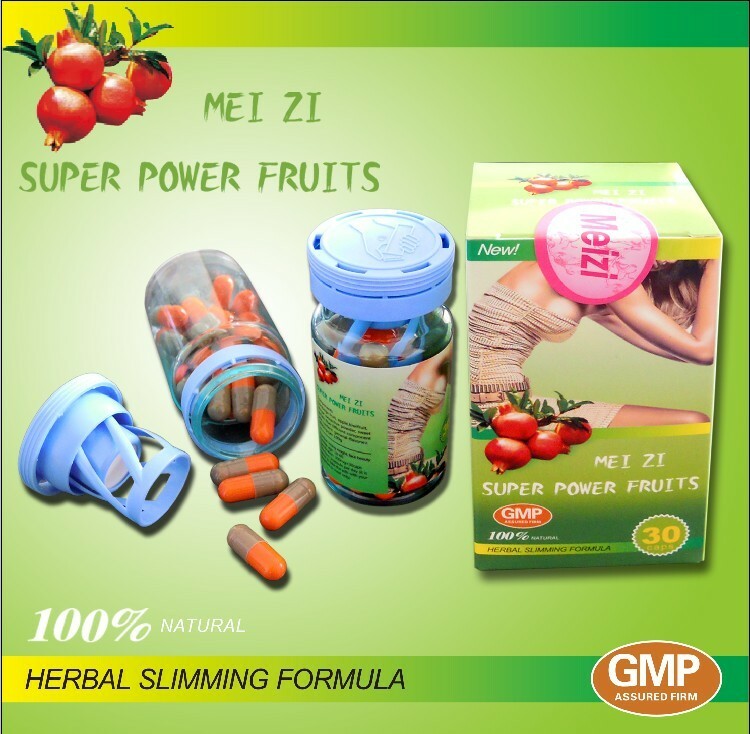 Meizi Super Power Fruits Slimming Capsules is not designed for the morbidly obese, children, pregnant, diabetics, and people with heart conditions. Any other illness that requires you to take prescribed medicine on a daily basis, you must consult your health physician and/or pharmacist to determine the personal risk with taking this product. 100% natural, results may vary. Not intended to diagnose, cure or heal any disease. 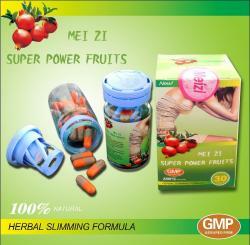 This product is not designed to automatic weight loss. 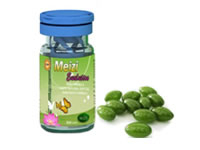 It is a natural product that helps in losing weight.